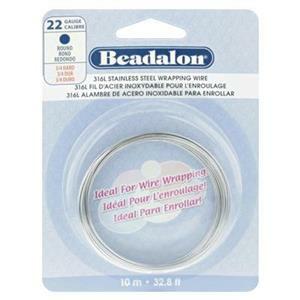 Beadalon bead stringing wires or cables are high-quality stainless steel beading materials. Each wire is composed of multiple twisted tiny wires that are nylon coated to protect your beads. The number of wire strands determines the flexibility of the stringing wire. More strands mean more flexibility. Wires with few strands will hold their shape a bit more. Determine the amount of drape you need in your design and select your stringing wire accordingly. Check out our video below to understand beading wire properties and choose the right Beadalon beading wire. 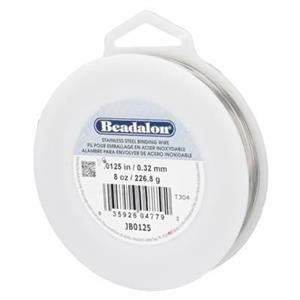 100ft .015in Bright, 19 Strand Beadalon Beading Wire. 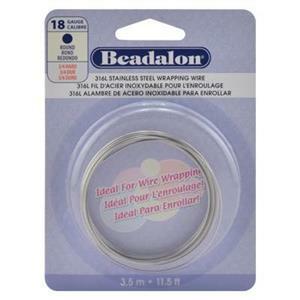 100ft .018in Diameter, 19 Strand Beadalon Beading Wire. 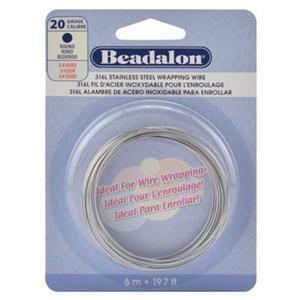 100ft .015in Diameter , 49 Strand Beadalon Beading Wire. 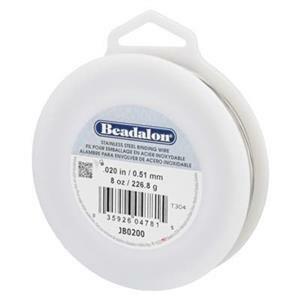 100ft .018in Diameter, 49 Strand Beadalon Beading Wire.